Nicky Gibbs studied at the Northern Ballet School receiving a Diploma in Professional Dance (Performers 3 year Course) and then went onto further study at London Contemporary Dance School (Postgraduate Diploma in Contemporary Dance followed by 1year Scholarship). She has performed with numerous companies covering a wide range of dance styles including Ballet, Contemporary, Flamenco, Physical Theatre and even Circus! Nicky is a highly experienced dance tutor and also a trained Pilates instructor. She has choreographed many works either in collaboration or on her own. She has worked for a wide range of organizations including Northern Ballet Theatre, Opera North, Teaglac Dance Co., Eidotrope Dance Co., Blast Theory, Seven Sisters Dance Co., Momentary Fusion, Shobana Jeyasingh Dance Company, Morley College London, The City Literary Institute London, Laban Community Education, Norfolk Dance Norwich, The Garage Trust Norwich, and DanceEast Ipswich. Nicky has established a strong reputation for delivering energizing, imaginative and inspiring dance classes. Her classes aim to carry on the tradition of passing on the excellent knowledge she herself was given by leading international dance teachers. With 25 years of teaching experience it is safe to say that she knows her stuff, but what is and has always been fundamentally important to her is to continue learning, with on going CPD training and being able to provide informed quality tuition to all learners. She firmly believes in the growth mindset; that with an open mind and commitment we are all able to continue learning at any age. Nicky also strongly believes in the physical and mental health benefits that dance can provide. "my teaching philosophy is to try to truly inspire and impart knowledge. I don't just demonstrate, students don't just copy. I want participants to think, feel, see, hear, experience and discover. To be alert to the possibilities available to them in movement. I see a students potential and I want them to reach it. My role is to help them on this pathway.” Nicky Gibbs. Nicky is a Ballet Tutor for the Centre for Advanced Training at DanceEast, Ipswich.The DanceEast Centre for Advanced Training provides world class, pre-vocational, professional dance programmes to young people aged 10–18 years from the East of England. The scheme has a 100% success rate of students continuing dance training at Further or Higher Education level. Details of the CAT scheme can be found at www.danceeast.co.uk . See some of the Level 1 and 2 students in action here during their mid-week Ballet class with Nicky Gibbs: www.facebook.com/DanceEastCAT/videos/10156170448059174/. Nicky is a dance artist who choreographs her own work as well as collaborating with other artists and working within community settings to devise work for performance. "I love collaborating with other people, be they theatre directors, artists, film makers, students. It is always such a stimulating experience to devise work in different settings and help someone realise their vision." Nicky Gibbs. Contact me to discuss your ideas. 1990 Certificate in Community Dance Studies, Camden Adult Education, London. 1993 Invited to participate in Michael Clark residency, The Holborn Centre, London. 2000 RSA Certificate Teaching Exercise To Music, City Literary Institute, London. 2001 Certification course Pilates Based Matwork, Pilates Institute, London. 2001 City & Guilds Certificate for Further & Adult Education Teaching 7307 Stage 2, City Lit. 2003-2004 Posture & Pilates, Backcare & Pilates, Seniors & Pilates, Pilates Institute, London. 2007-2008 Foundation Level Community Dance Leaders Course, Norfolk Dance, Norwich. 2008 Time & Space (to breath) Pro development vocation with Rosemary Lee, Norfolk. 2008 Moving From Core Stability to Dynamic Connectivity, Laban Pilates Workshop, London. 2008-2011 Adult Creative Group/Advanced contemporary/ Yoga weekly class with Norfolk Dance. 2011 Trisha Brown Intensive, Movingeast, London; week of class and repertory. 2015 Royal Ballet School Teachers Observation Programme, Covent Garden, London. 2016 Inspire Seminar 3 (Centre practice) Royal Ballet School, Covent Garden, London. 2017 CPD class observation at London Contemporary Dance School. 2018 Inspire Seminar 2 (Barre work) Royal Ballet School, Covent Garden, London. 1986-1988 Royal Ballet and Northern Ballet Theatre productions at The Palace Theatre,Manchester. 1990 Selected from LCDS for Opera production at The Guildhall School for Music & Drama. 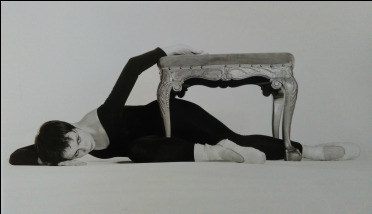 1990-1992 Dancer for Teaglac Dance Co., performing in London at The Place for Resolution! and Spring Loaded, as well as touring throughout the UK. 1991 Dancer for Blast Theory for production of Gun Men Kill 3 performed in London and Bournemouth. 1992 Dancer for Opera North production of The Duenna (Directed by Helena Kaut-Howsen, choreographed by Kate Flatt). Toured nationally. 1993 Dancer for Theatre Laboratory for production of The Delicate Art of Dream Walking performed at the Café de Paris, London. 1993-1996 Dancer for Eidotrope Dance Company an independent contemporary dance co. combining performance and educational work. Selected annually to perform for Resolution! and Evolution at The Place, London and Morley College Dance Platform, London. Selected (1994/95) to perform at Turtle Key Arts Centre, London. Selected (1994) to perform at Hackney Empire for showcase organised by Matthew Hawkins. Selected (1994) to perform for Dance Platform at North Westminster Studio Theatre, London. Selected (1995) to perform for Brighton Dance Collective. Performed Monomania and Upright (choreographed by Andy Papas) for schools residency in Norfolk. 1995 Dancer for aerial dance company Momentary Fusion for production of High Vaultage, a site- specific production at The Arts Depot, London. 1996 Dancer for Opera North in revival of The Duenna. 1996 Dancer for Vanessa Gray for Jumpstart. 1997 Dancer for Seven Sisters Dance Company for production of Silence, a site-specific performance at The Round House, Hackney, London. 2010-2012 Dancer with Norfolk Dance Adult Contemporary group, Turnstyles Dance Platform, The Playhouse, Norwich. 2016 Dancer for collaborative project with Erin Vasta; Cedar Creek Bridge, Ship in a Bottle filmed on location in Norfolk. 1991-1992 Delivering contemporary dance workshops in schools whilst touring with Teaglac Dance Co.
1993-1996 Delivering contemporary dance classes and workshops for schools, youth groups and adults with Eidotrope Dance Co.
1993-1997 Ballet, contemporary and choreography tutor for The School for the Science of Acting, London. 1995-2005 Ballet, jazz, Pilates and contemporary dance tutor for Morley College, London. 1996-2003 Pilates instructor, Sequin Park, London. 1996 Advanced level contemporary dance for The Holborn Centre, London. 1997 Guest teacher for Professional level contemporary dance, The Place, London. 1997-1999 Modern dance tutor for Lambeth Community Education College, London. 1997-2002 Ballet tutor for Tower Hamlets Adult Education Dance Foundation Course, London. 1998 Tutor for Dance Leaders in the Community Course, Lewisham, London. 1998-2000 Modern dance tutor for Community Education Lewisham, London. 1998-2000 Tutor for Beginners Ballet course, Tower Hamlets Adult Education, London. 1999-2000 Pilates instructor, Laboratory Spa & Health Club, London. 1999-2000 Contemporary dance tutor, The City Literary Institute, London. 1999-2000 Workshop leader for Shobana Jeyasingh Dance Co. Position required planning and delivery of workshops to schools, youth groups and adults throughout the UK. 1999-2001 Pilates instructor, Fitness First, Chalk Farm, London. 2000-2003 Pilates instructor, Springhealth Leisure Club, London. 2000-2005 Pilates tutor, The City Literary Institute, London. 2001-2005 Ballet tutor for LOCN and Access accredited courses, Morley College, London. 2003-2004 Course tutor for OCR level 2 Pilates Instructor Training course, The City Lit., London. 2003-2005 Ballet tutor, Community Education and Annual Summer School, Laban Centre, London. 2005-2012 Dance tutor (Ballet, contemporary, creative, Pilates), workshop leader and group leader for Big Sky youth dance company for Norfolk Dance, Norwich. Position required planning and delivering classes and workshops to adults and children from beginners to intermediate level. 2006-2008 Pilates tutor, Norfolk Adult Education, Wensum Lodge, Norwich. 2008 Ballet and Contemporary dance tutor, City College, Norwich. 2008-2012 Ballet tutor (Elite ballet classes for children), ARTS, Norwich. 2012-2016 Dance Artist, The Garage, Norwich. Position required planning and delivering Ballet, Contemporary and Pilates Matwork to adults age 16+ from beginners to advanced. Artistic Director for adult dance group Connect Dance Company. 2015-present Ballet Tutor for Centre for Advanced Training, DanceEast, Ipswich. 2016-present Director of Nicky Gibbs Dance. Delivering independent programme of classes in Ballet, Contemporary and Pilates for adults 16+ from beginners to advanced in Norwich. ​2018- Guest tutor for Clockwork Dance Co., Seagull Theatre, Lowestoft. Delivering Ballet workshop for young adults.